Do you remember when I showed you watermelon mint sorbet and told you how much I looooove watermelon? 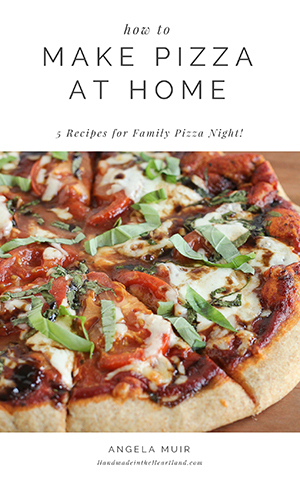 Well I’m here to keep my word and bring you a few more recipes to highlight this delicious fruit of summer. 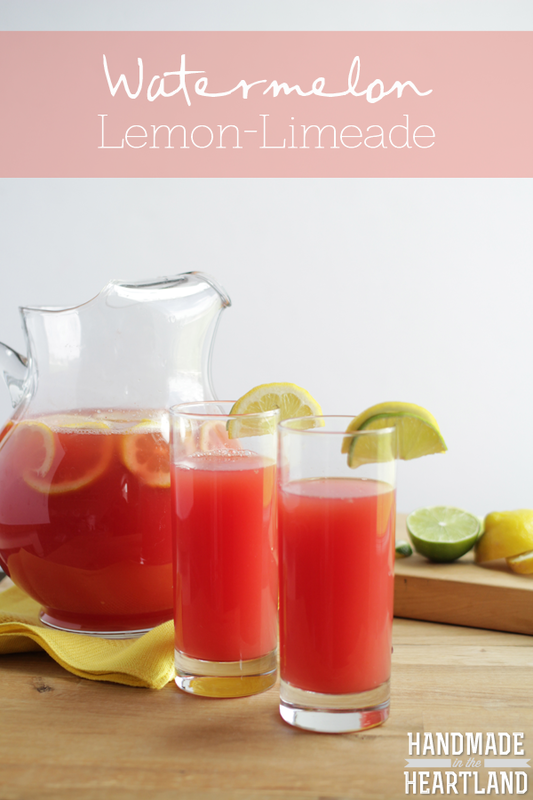 Today I give you a delicious drink that you will want to keep stocked in your fridge for the next two months- watermelon lemon-limeade. 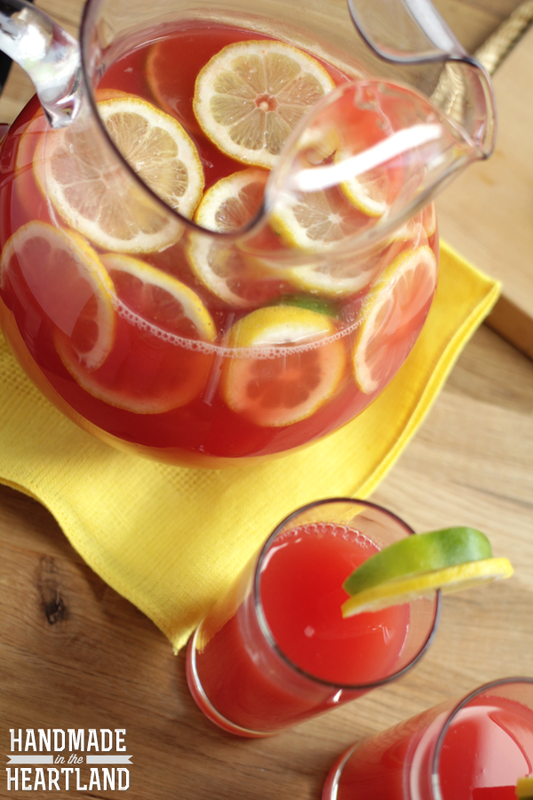 Its sweet and tangy and the perfect refreshing drink to take to the backyard and watch your kids run through the sprinkler. I for one am all about making my days a bit sweeter. First blend your watermelon. I cut mine into chunks to fit into my blender and pureed it. After that pour it through a fine mesh strainer, this step is important, you can see the difference before and after you strain it. Its very clear and looks like juice after you strain the solids out. Next juice your lemons and limes, if you wish you could just use lemons. Now you will want to make a simple syrup by combining 2 cups of sugar and 2 cups of water on the stove in a saucepan over medium heat, let it simmer long enough that all the sugar is dissolved then remove from heat. 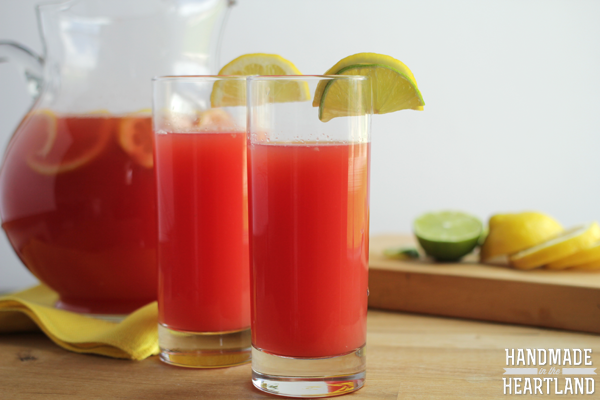 Last combine the syrup you just made with the watermelon juice, water, lemon juice and lime juice, stir to combine and chill. I sliced an extra lemon and lime to put in the pitcher. 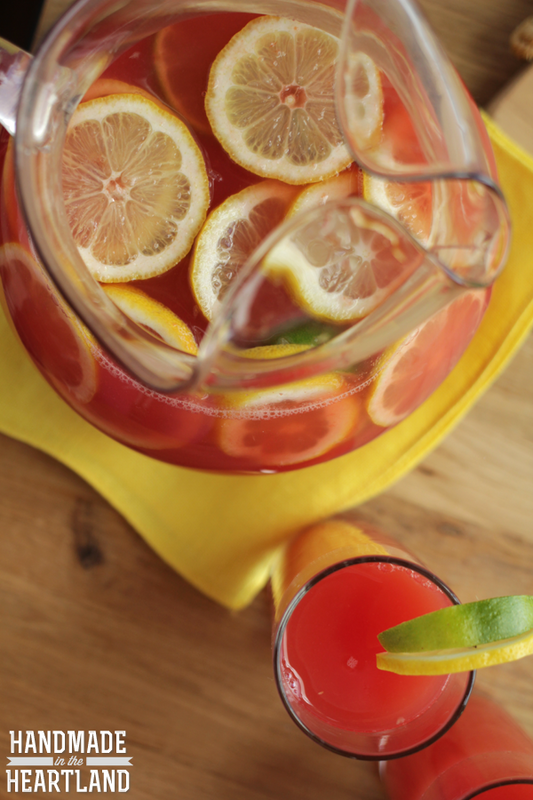 Last step is to share your refreshing beverage with friends and family! Enjoy! 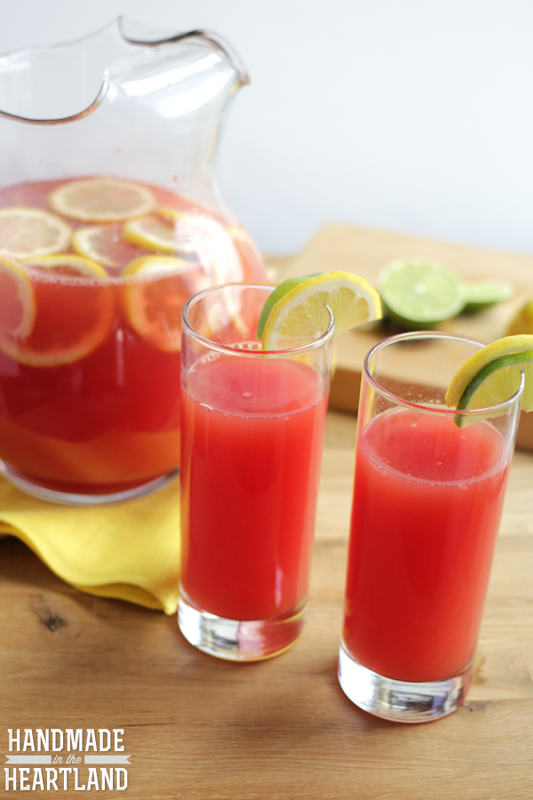 You can totally make this recipe using only lemons and watermelon. I think i’ll try that next to see how it turns out, there is nothing like fresh squeezed lemonade, right? Plain fresh lemonade reminds me of the fairgrounds, where I grew up the county fair was the place to be in August and I always had a lemonade in hand.